Circumstance had me flying by one of the more infamous road features in Arizona; "The Stack" interchange for I-17, US 60 and I-10. The Stack is a four-level interchange west of downtown Phoenix which was one of the last parts of I-10 to open in Arizona in 1990. Previous to the completion of the Deck Park Tunnel and Stack the route of I-10 through downtown Phoenix was a contentious issue. The section of I-10 through downtown Phoenix was known as the Papago Freeway. The original plans for I-10 in downtown Phoenix called for an elevated structure that was largely despised locally. During the 1970s local opposition to the elevated Papago Freeway was spurred by campaigns by the Arizona Republic which led to a bill that defeated the construction of the elevated freeway through downtown Phoenix. In 1983 plans for the Deck Park Tunnel was approved which as stated above opened in 1990 with the Stack interchange. Arizonaroads.com has a stub article which shows pamphlet information regarding the elevated Papago Freeway. The route of I-17 west of downtown Phoenix was actually part of the current Arizona State Route 69 which has existed since 1938. Originally AZ 69 took 43rd Avenue from north US 60/US 70/US 89 on Grand Avenue. AZ 69 was moved to a new alignment on 25th Avenue by 1950 according to Arizonaroads.com, said alignment can be seen on the 1951 State Highway Map. 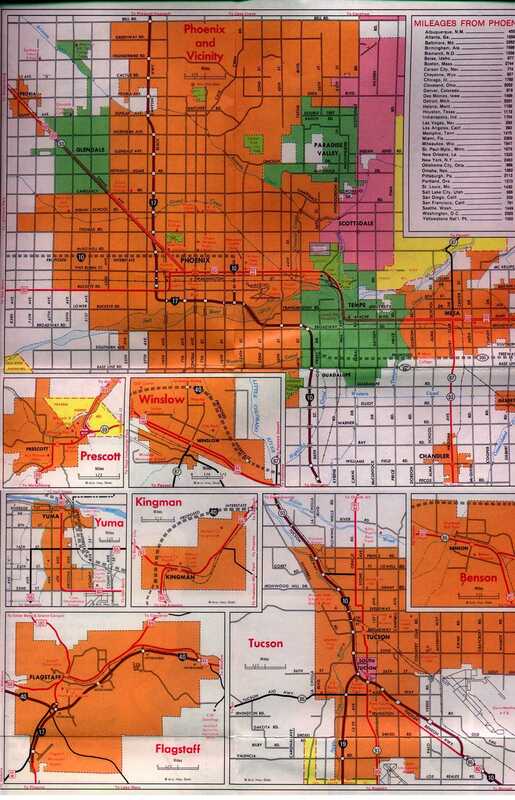 AZ 69 in the Phoenix Area was built to freeway standards between Buckeye Road north past Northern Avenuesome time between 1956 and 1961 which is known as the Black Canyon Freeway can be seen on the two maps below. 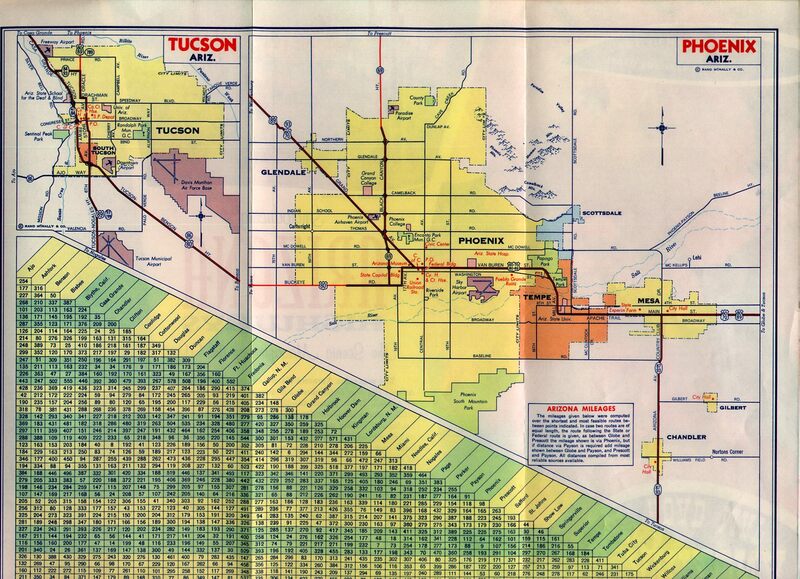 By the early 1970s the southern half of AZ had become I-17. Only a short stub of I-10 had been built past the I-17 interchange east of downtown Phoenix which can be seen on this 1971 City Insert below. As I-10 was being built through downtown Phoenix it had a temporary alignment on I-17 to the location of the modern Stack. In time US 70, US 80 and US 89 were removed from the Phoenix Area while US 60 was routed on a multiplex of I-10 to I-17. US 60 currently multiplexes I-17 to the Stack before splitting away at Grand Avenue.